Top Sponsors — Crestone Performances Inc.
Help us show some love to our TOP SPONSORS! With big changes underway at Crestone Performances Inc., we are extra thankful for our Top Sponsors. These Sponsors have been with us through thick and thin for several years. When told we were starting to focus more on the YOUTH of the area they, without hesitation, offered their support. Now it's YOUR turn! Get out there and support our biggest supporters! Thank you! Saguache County has been one of our biggest supporters from the beginning. Each year we are excited to receive whatever funds the county can spare, in the form of their Sales Tax Grant, and spread them out to the community. They help support our Youth Enrichment Program by providing funds for us to completely cover all aspects of programs and presentations to the schools in our communities. They have also helped support the Crestone Music Festival with grants that covered waste and sanitation requirements. Without Saguache County, Crestone Performances Inc. and our Youth Enrichment Program could not be. THANK YOU, SAGUACHE COUNTY! The Crestone Eagle has been with Crestone Performances Inc. & The Crestone Music Festival since the beginning. They have continued to offer support in a monthly newspaper articles, as well as ads when requested. They work with us each month, patiently awaiting our copy and images. Their contribution each year is no small offering. Getting the news out to people is and always has been an important and complicated job. We are exceptionally thankful to have such wonderful people running The Crestone Eagle and supporting our community. Need an ad? Want to list a house for rent? Click the image above to be taken to their website. Thank you! Joyful Journey Hot Springs is a long-time supporter of the Crestone Music Festival. When asked if they would still contribute if our focus changed to more YOUTH activities and programs, they shouted "Yes!" from the mountains tops... Or sent in very generous checks to help fund our programs. They also housed many of the festival's headliners in their beautiful accommodations located right off Highway 17, 32 miles south of Salida and 50 miles north of Alamosa in the San Luis Valley of south central Colorado, one mile south of the Highway 285 junction. Have you stopped in for a soak? Something tells me you'll love it! Click the image above to be brought to their website. And have fun! Orient Land Trust and Valley View Hot Springs is one of the areas hidden gems. Also a non-profit, the protect over 2,000 acres of wild-life, including spring waters, hiking trails, rustic cabins and camping. They have been long-time supporters of everything Crestone Performances Inc. From the Crestone Music Festival to our Youth Enrichment Program to our smaller community events, OLT is always right there willing to lend a hand. Click through the image above to be brought to their Valley View Hot Springs page. All the springs are natural and the views are amazing. You'll need to call ahead to make your reservation, or have you thought about becoming a member? Maybe you'd love it. 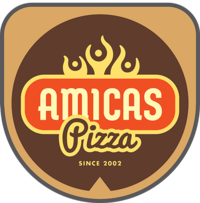 Located in Salida at 127 F Street (a semi-new location), AMICAS is the place to go for friends, family, beer and the BEST PIZZA around! No joke. This is your one-stop shop for all your delicious wood-oven cooked pizza and microbrewery needs. With regular specials and the most amazing WALL-SIZED menu (right when you walk in), it's pretty much impossible to NOT find something you'll love. AMICAS was one of the first businesses to jump on the opportunity to fund a YEP production in one of Salida's schools. The Shumei Taiko Drummers came in with a literal BANG! They were also long-time sponsors of The Crestone Music Festival AND of our Youth Enrichment Programs. Did I mention how awesome they are? Well, it's true. Plan your next trip to AMICAS today! First Street Flooring is proud to have been a vital part of the Salida community in some form since 1910. In 2008, they moved their home to Third Street......hence, First Street Flooring on Third! They have been a huge supporter of The Crestone Music Festival and the Youth Enrichment Program for well over a decade. Aaron Conrad, the owner, served on the board of directors and as the President for many years. First Street Flooring on Third is still a big supporter of Crestone Performances Inc., donating to our YEP programs and many others. Need new flooring? Go to them! They're the best in the area! Crestone and the San Luis Valley are ideal retreat & permanent residence locations for telecommuters, artists, those who love the outdoors and wild places, and seekers of all stripes. Vivia, the owner and operator of Sangre de Cristo Real Esate, is committed to a high level of service, and to providing sound counsel that takes your life circumstances into account. She is active in the community, participating widely in local non-profit activities including Crestone Performances Inc., KRZA community radio, the Boys & Girls Clubs of the San Luis Valley, several arts organizations, politics, and feline rescue activities. Looking for a new beautiful place to live? Call Vivia and find your dream home! Manitou Foundation Institute & Conservancy is our newest sponsor! Established in 1994, Manitou was created to support the programs and projects being developed on land donated to various spiritual and educational organizations. They have many programs and Initiatives including the Earth Restoration Corp which addresses the problem of global climate change by mobilizing young people for sustainable livelihoods in earth restoration. Another is the Earth Origin Seeds which demonstrates and teaches organic farming practices and seed banking techniques. For more information please visit their web site at Manitou.org. Thank guys!